Huawei Mate 20 Series Unveiled in China - Playfuldroid! 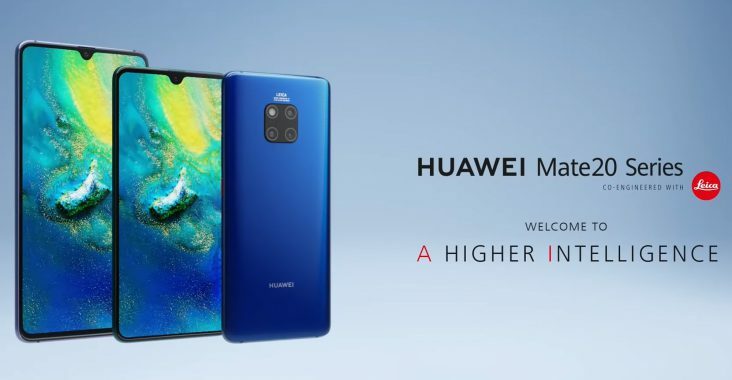 Huawei had announced the Mate 20 series of flagship phones in London on Oct. 16. Today, the Chinese manufacturer had organized a launch event in Shanghai to announce the arrival of Mate 20, Mate 20 Pro, Mate 20 X and Mate 20 RS Porsche Design smartphones in China. The sale of the premium Porsche Design phone will start 10:08 AM (local time) on Nov. 10 whereas the Mate 20 series phones will be available for buying in China starting from today at 18:08 PM (local time). The 64 GB and 128 GB storage variants of the Mate 20 will be available with 3,999 Yuan ($576) and 4,499 Yuan ($648) in China. Both models are equipped with 6 GB of RAM. The base model of the Mate 20 Pro has 6 GB of RAM, 128 GB of storage and rear-mounted fingerprint sensor. It is priced at 5,399 Yuan ($777). The under-display fingerprint scanner versions (UD variants) of the Mate 20 Pro come in 128 GB and 256 GB storage models. Both phones feature 8 GB of RAM and they are respectively priced at 5,999 Yuan ($864) and 6,799 Yuan ($979). All the Mate 20, Mate 20 Pro and Mate 20 Pro UD variants will be available in colors like Emerald Green, Sapphire Blue, Pink Gold, Aurora and Bright Black colors in the home country. The 6 GB RAM + 128 GB storage and 8 GB RAM + 256 GB storage variants of the Mate 20 X are respectively priced at 4,999 Yuan ($720) and 5,999 Yuan ($864). It can be bought in colors like Sapphire Blue and Phantom Silver. Priced at 12,999 Yuan ($1,871), the Mate 20 RS Porsche Design features 8 GB of RAM and 512 GB of storage. Its color options are Red and Black.